I'm sure you've taken notice by now, but I'm all about bringing clothes over into the next season. 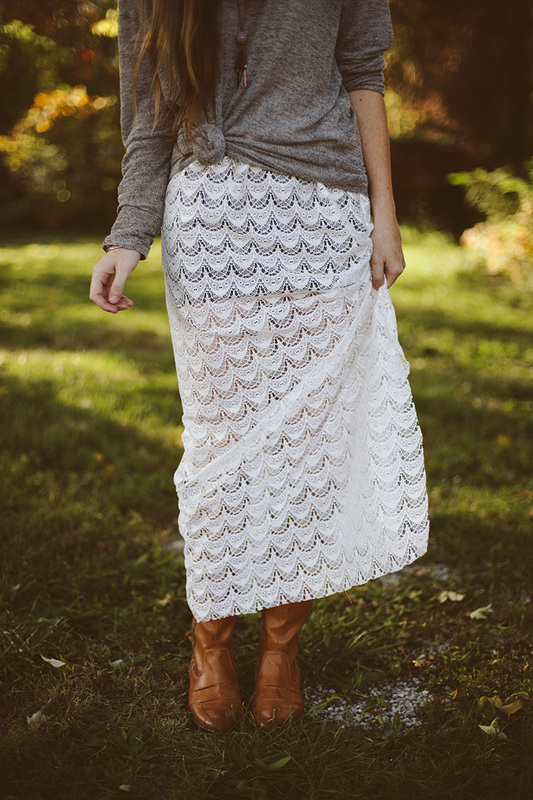 Adding this lace layer gives this skirt some extra warmth, but isn't too bulky for the fall. Take a look below to create your own mini to maxi skirt. 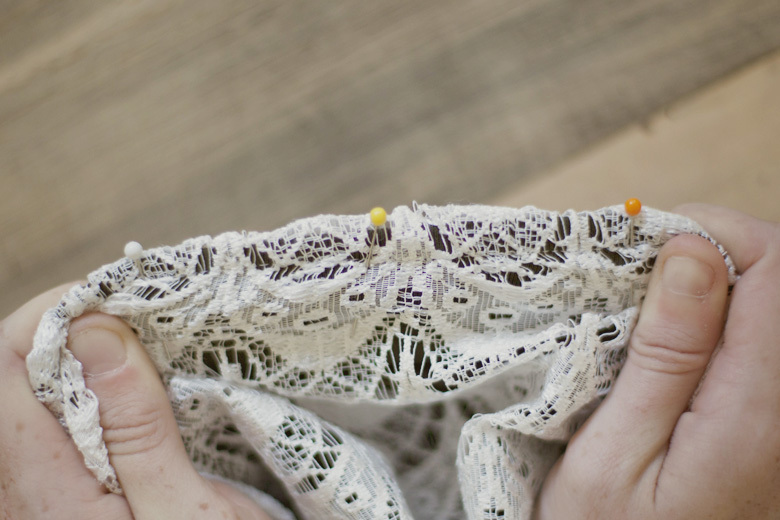 Supplies: Stretch cotton mini skirt, two pieces of lace, both 1 yard long. *I'm 5'6, so you made need a bit more or less, depending on your height. Pantry Supplies: Sewing machine, sewing pins. 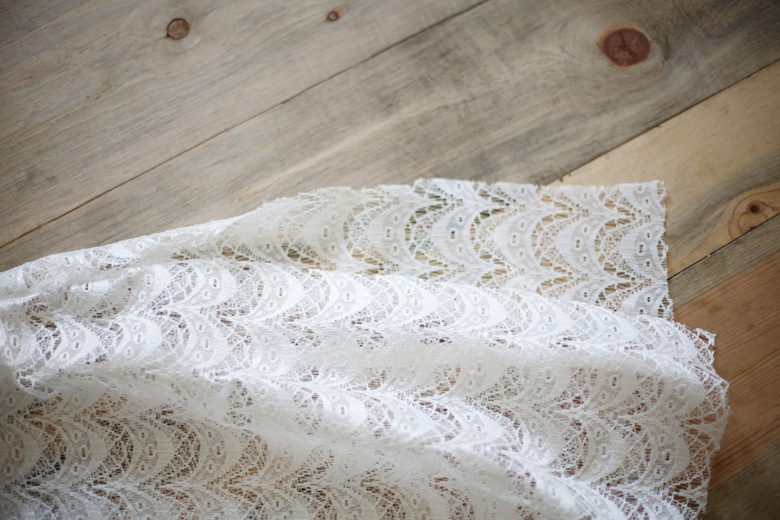 Take the mini skirt and begin pinning the lace to the waist ban of the skirt. The width of each piece is up to the wearer, depending on the pants size and how gathered they want their skirt to be at the top. I used two 20x36 in. pieces of lace. 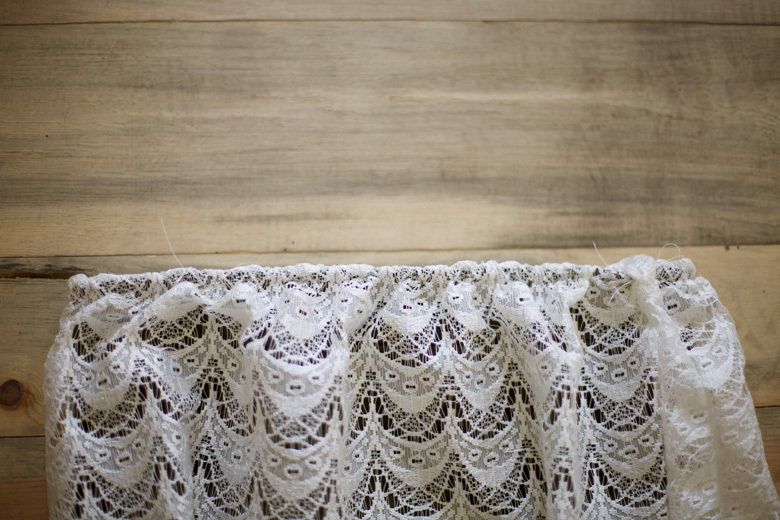 In order to create a gathered look and also to prevent losing the stretch of the skirt, stretch the waist band tight while pinning the lace in place. Once you've finished pinning, sew it securely in place. You want to do the same as the pinning by pulling the elastic tight as you sew. This is very important and will make the sewing go a bit slower, but is crucial when it comes to the final fit of the skirt. Lastly, hem any sides and edges you have left. Enjoy your newly revamped skirt! Good idea! Needs some tights for fall though, because it looks like your legs would get cold. I love how this turned out! 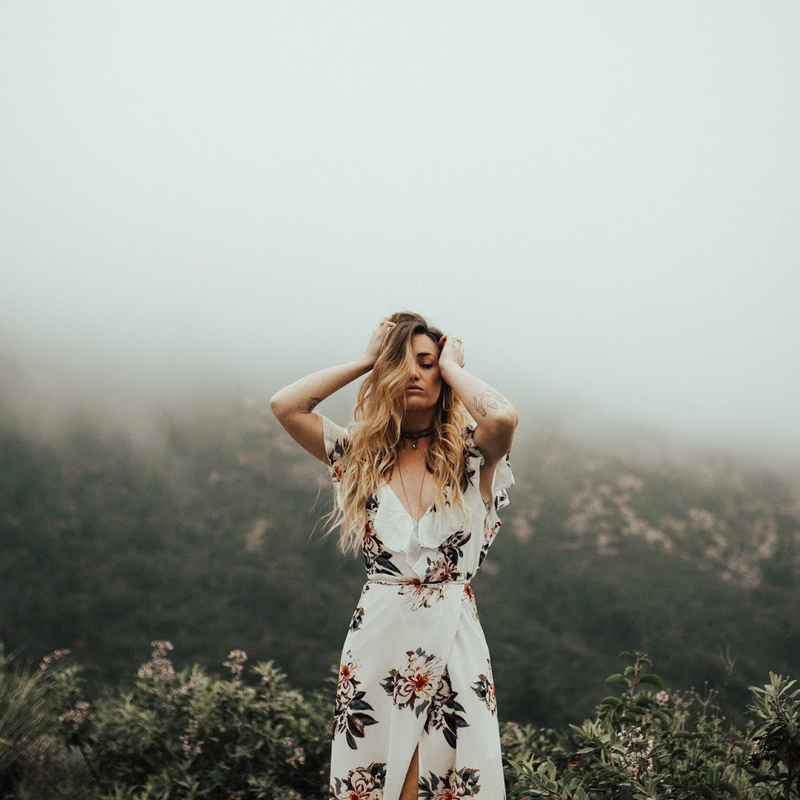 Great summer to fall transition. this is great! i love it. Too bad I don't have any miniskirts laying around. This is absolutely amazing! What a gorgeous skirt! LOVE it. Very cute, I love how you can just see the silhouette of your legs through that lace. I love this! Also super cute and seems really simple! Great DIY. this is so cute! I love maxi skirts and dresses but they're always so expensive at a real store. i should just make my own! Love how this turned out! So feminine and pretty. Pretty! I'll have to remember this trick. this is very cute! love the idea! It looks so, so amazing, I love that lace! I'm all about the DIY and think this looks gorgeous! beautiful!!! I will have to try this! This is an amazing diy tutorial. I've been wanting to this for a long time but was stumped as to how to attach a non stretch material to a stretch material and now you have solved all my problems! thank you! !